Are you curious about Acupuncture & Chinese medicine? Do you wonder what it treats & if it can help you? Then join us for a FREE talk on Sunday Feburary 10, 2019 from 10:30 am -11:30 am @yoga4all. Discover how this ancient medicine can benefit you! Anytime is a great time for an infusion. Today I made a nettle and goji berry herbal infusion. This infusion was made by adding hot water to an ounce of organic dried nettle and a handful of goji berries and letting it infuse for around 4 hours. Strain the herbs from the liquid and enjoy hot, cold, or room temperature. I always brew the herbs a second time. I made this one for myself as my eyes have been strained lately so the goji berries will be beneficial. Goji berry (Wolf berry) or in Chinese Medicine called gou qi zi is a tonifying herb, nourishing the blood and body fluids. They have a sweet taste and neutral property. Some of the benefits of taking this herb are for dizziness, eye issues, blurry vision, eye fatigue, dry cough, weak back or knees, abdominal pain, impotence, regulates blood sugar, improves the immune system, improves energy, and more. Caution for patients that are very warm as this herb may not be right for you. Nettle Leaf or stinging nettle grows World wide and has a number of health benefits. When this herb is picked it has little hairs that contain irritants that when they make contact with the skin it “stings”. This herb is very effective for inflammation, blood sugar regulation, anti hypertensive, promotes hair and nail growth, improves liver and kidney function, energy and memory booster, can treat osteoarthritis, high cholesterol, & improve circulation. It can be taken as a tea or used topically for insect bites, rashes, or sprains. This herb contains calcium, Vitamin C, Vitamin D, Vitamin A, protein, iron, & chlorophyll. Caution with nettles if you are taking a medication like coumadin because this herb does have a good amount of Vitamin K. Also it can lower blood sugar and blood pressure so caution and monitoring is necessary if you are taking any medications to treat either of these. It is best to consult with an herbal specialist before trying herbs to see which herbs or herbal formula is right for you and your health needs. Willow Tree Acupuncture & Wellness recommends an herbal consult which is available and to use only organic regulated herbs. Happy Thanksgiving from all of us to you and yours! Feeling blessed this year for all of our patients and our community. Thank you! Willow Tree Acupuncture & Wellness will be open and taking appointments this Saturday. We are happy to be part of small business saturday. Call us to make an appointment and discover how this ancient medicine can benefit you! 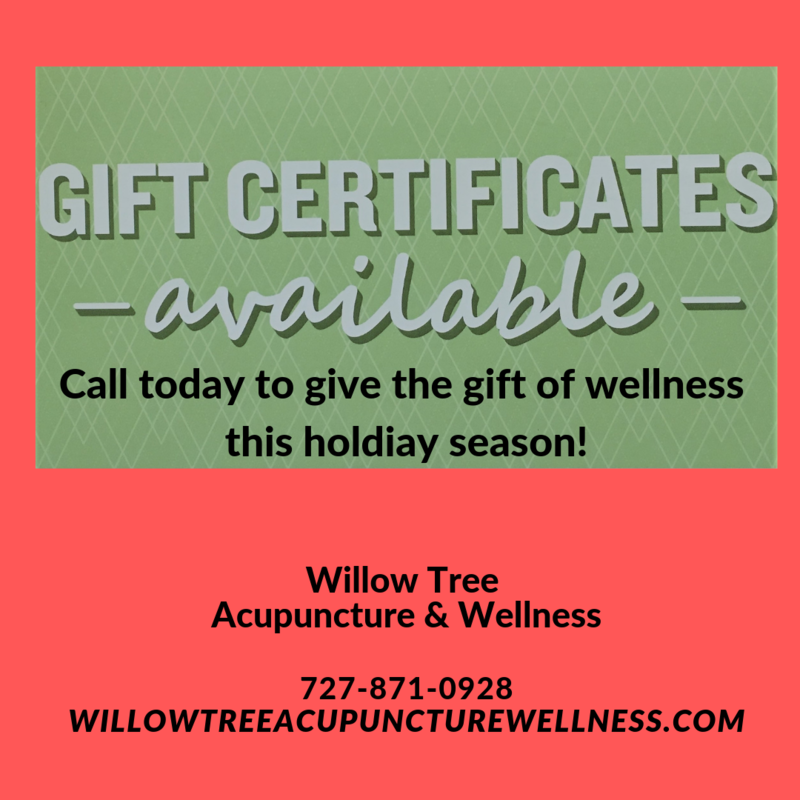 Willow Tree Acupuncture & Wellness is excited to now offer gift certificates. They are available for packages or individual treatments. Call the office today to request your gift certificate and give the gift of wellness this holdiay season! 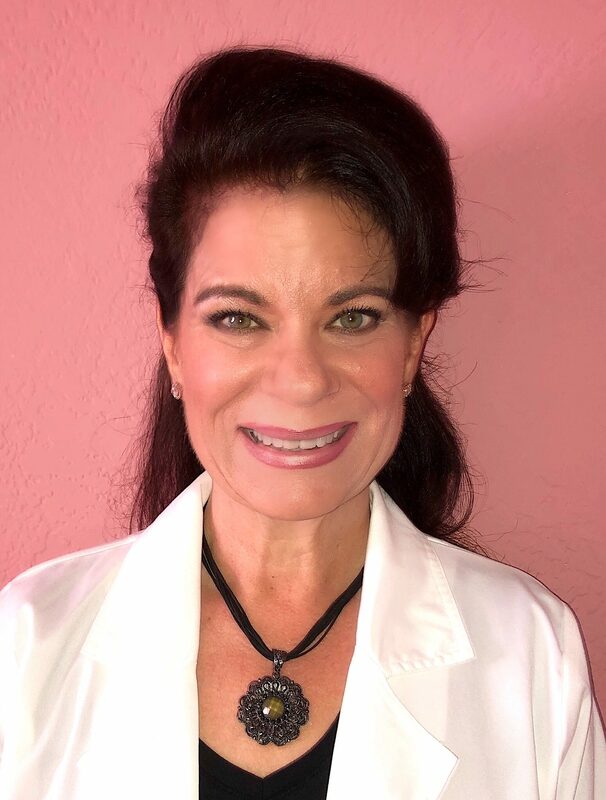 To request a gift certificate email: acupuncture.willow@gmail.com or call the office @ 727-871-0928. Feeling the stress of the holiday season? The hustle and bustle has already started. Acupuncture is an effective way to treat stress, depression, and insomnia. Stress wreaks havoc on your immune system leaving your body wide open for colds, flu, and overall fatigue. Help prevent the effects of stress by slowing down, breathing, resting, and with acupuncture! Ear seeds are made of a Chinese herb called a vaccaria seed. They are attached to an adhesive & applied to specific points on the ear. They extend the effectiveness of your acupuncture treatment and can be used alone or following a treatment. Just squeeze these tiny seeds a few times a day to stimulate the acupuncture points. You can shower and sleep with them. Remove in 3-5 days by peeling them off like a band-aid and dispose in the trash. It’s like take home acupuncture!